Is it time to replace Mahatma Gandhi's picture on Indian currency notes? Group Discussion Ideas > General GD Topics > Is it time to replace Mahatma Gandhi’s picture on Indian currency notes? 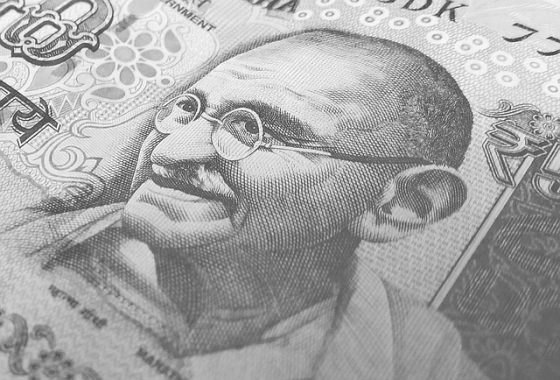 Is it time to replace Mahatma Gandhi’s picture on Indian currency notes? Mahatma Gandhi is India’s Father of the Nation. So, it’s perfectly right to give him the honor by placing his portrait on currency notes. Mahatma Gandhi contributed a lot to the India’s freedom struggle and has played a major role in achieving independence for India. Gandhiji is an international leader. World know Gandhiji more than any other Indian freedom fighter and political leader. India’s freedom struggle and development after independence witnessed many great leaders, whom we cannot compare with each other. It’s difficult to pick few leaders among many. Different regions of India give priority to different freedom fighters. Already Gandhiji’s birthday was overrode as ‘Swach Bharat Day’. Replacing his image on currency notes will further reduce his deserved importance. It’s true that India’s independence cannot be attributed to one single person. Though Gandhiji has played major role, there are many other great persons who dedicated their entire lives for India’s independence and development. Gandhiji’s image on currency notes is probably an attempt to brainwash Indians that Indian National Congress party is the best. India is known for it’s diversity. That must be represented on Indian currency notes. Not all the leaders featured on other countries’ currency notes are known by us Indians. Likewise, just because other great leaders do not have international importance, their images cannot be eliminated as an option. Currency printing has started in India from 18th Century, i.e in 1700s by Kings who ruled different parts of India. From 1861, British government took the authority to print Indian currency and prohibited others to do so. From then they printed notes with British leaders images on them. After Republic day in 1950, India started to print it’s own currency with Ashoka’s Emblem on them. Because it was adopted as National emblem of India. On the backside of notes, our biological diversity and the advancements in the country were depicted by different images on different notes. From 1996, Mahatma Gandhi’s image was being printed on all currency notes of India. Completely replacing Gandhiji’s picture on currency notes will reduce his importance, which is not at all a positive thing. But to represent India’s diversity and to give due importance to other great leaders, it would be good if more leaders are represented on Indian currency notes. If it’s difficult to pick a few, we can represent more leaders by representing more than one leader for one denomination. For example Gandhiji’s 10 rs. series, Subash Chandra Bose’s 10 Rs. series, Sardar Vallabhbhai Patel’s 10 Rs. series etc. Afterwords :- Do you think it’s time to give honor to other great freedom fighters? Express your thoughts in the comment section below. No, I think it will create differences in society. People will start demanding to print the image of the person who is from their religion or region. If many types of notes will be their, it would cause fake notes in Indian economy.